Offering you a complete choice of products which include m-28.10 with switch magnet ( m) and 3328.10 with switch magnet ( m). The 3D articulated guaging arms from Fisso with a central tightening system stand out due to their high quality and reliability and are used in Meterology & Quality control Department. The large Strato model additionally features steplessly adjustable pre-tensionable to protect the instrument. The 3D articulated guaging arms from Fisso with a central tightening system stand our due to their high quality and reliability and are used in Metrology in & Quality control Department. 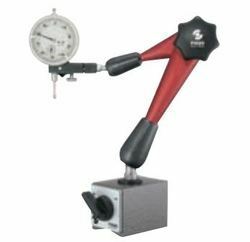 The standard Classic model for measurement probes and dial guages can be used in any type of mechanical system. Pre-tensioning cannot be set. 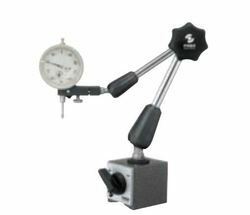 Looking for Fisso Articulated Gauging Arm ?